IMPROVED RADIATOR DESIGN: Almost an inch narrower, featuring a new high-density core, and 100 grams lighter than last year’s model, the new radiator tucks in tighter and cools just as efficiently. FULL LED LIGHTING PACKAGE: Headlights, tail lights, turn signals—with the new CBR1000RRs it’s all done with lightweight, efficient, cool LEDs. NEW THIN FILM TRANSFER DISPLAY: TFT means an instrument display that’s lighter and easier to read than previous LCD designs. 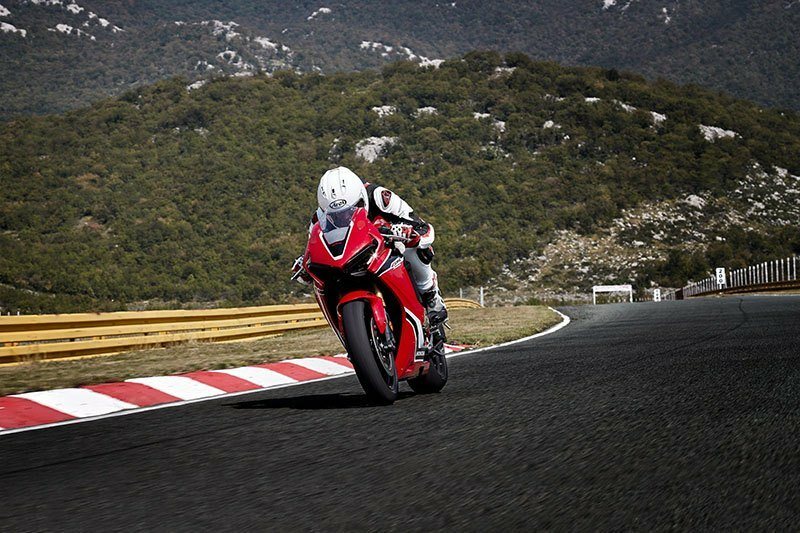 It’s a first for Honda, and it’s making its premiere on the new 2017 CBR1000RRs. SLIMMER ERGONOMICS: The new CBR1000RRs are much slimmer in the tank/seat junction area, and also in the upper cowl (more than 24mm trimmer). This improves aerodynamics, and the narrow tank makes it easier to tuck in. LIGHTWEIGHT SUB-FRAME: Almost a full pound lighter than our previous models, the new CBR1000RR sub-frame further refines our mass centralization efforts. Light is always right, and this year’s models are the lightest CBR1000RRs we’ve ever produced. 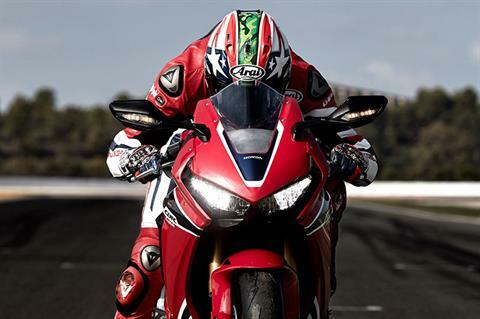 ALL MODELS: All 2017 CBR1000RR models have been totally redesigned, with new engines, chassis, suspensions and bodywork. 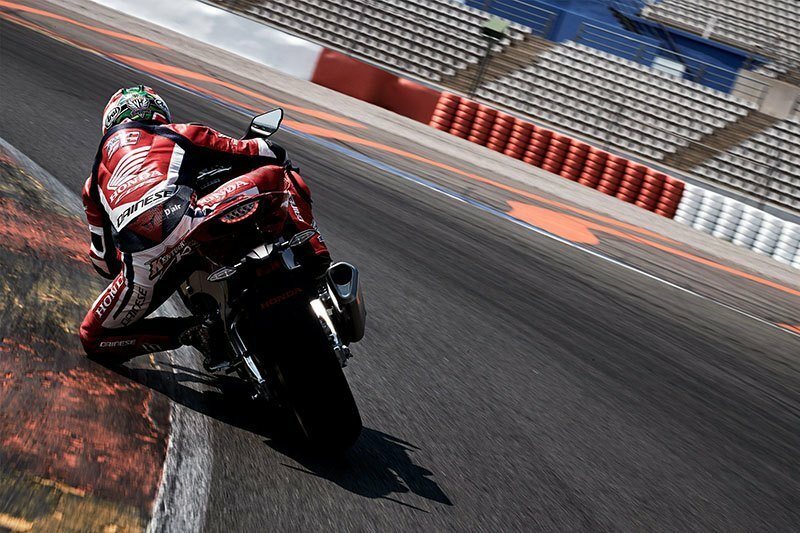 CBR1000RR: The new 2017 CBR1000RR is substantially lighter, more than 24mm narrower, features our first Superbike throttle-by-wire system and more. The chassis is more responsive, and the bike features a full LED lighting package. THROTTLE BY WIRE: The CBR1000RR's new throttle-by-wire system works in concert with our Honda Selectable Torque Control. With the two, you get your choice of three engine power-delivery modes, plus two which you can custom program yourself. ALL-NEW FOUR-CYLINDER ENGINE: Featuring high-compression 13:1 pistons, the new CBR1000RR revs like only a flat-plane inline-four can. It also makes ten horsepower more than our previous CBR10000RR. 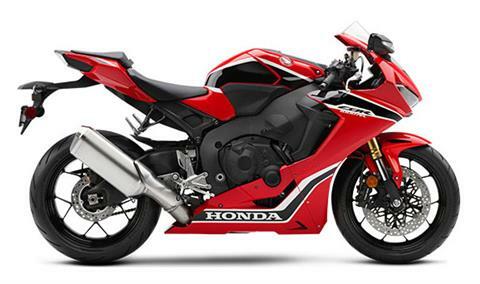 HONDA ELECTRONICS STEERING DAMPER (HESD): Most steering dampers only sense handlebar-deflection speed. 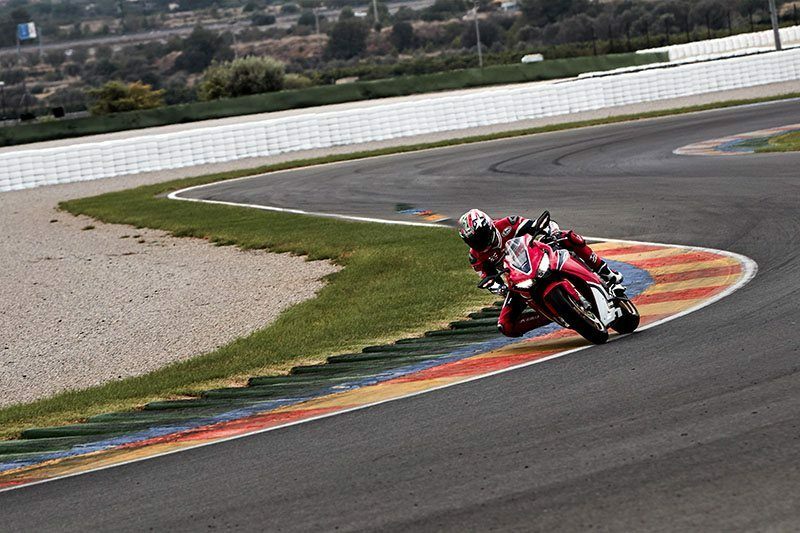 The Honda Electronic Steering Damper (HESD) is way more sophisticated. It also detects vehicle speed, and adjusts damping proportionally. 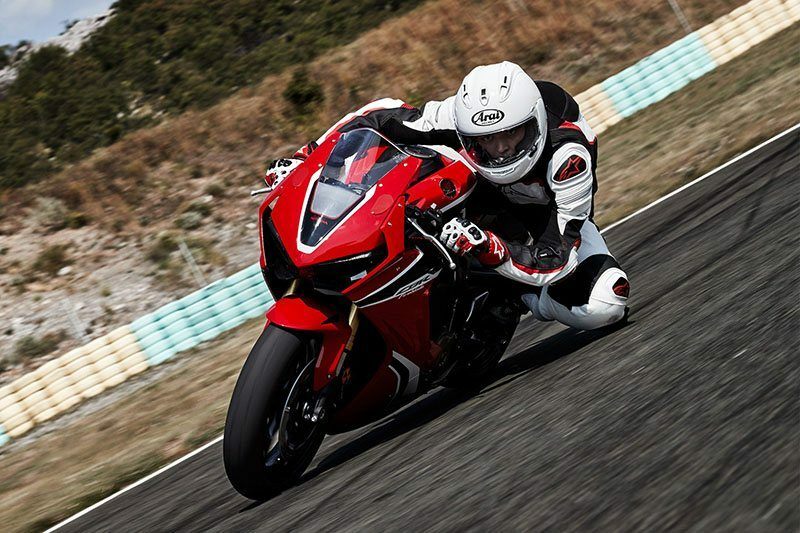 That helps maintain low-speed maneuverability while providing excellent, predictable high-speed handling.